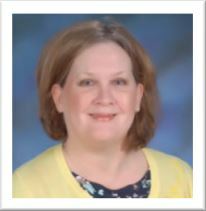 For a third year, LFLTA has recognized outstanding members of the language profession while elevating the status and public profile of its members in Louisiana throught hte annual LFLTA Teacher of the Year Award. The LFLTA Awards Committee began receiving nominations for this award in early August 2013. Silvana Allen is from Lima, Peru. She graduated with the title of Bachelors Degree in Education from the prestigious National Pedagogic Institute Monterrico and from San Marcos University, the oldest university in America and the home of Mario Vargas Llosa, a former Prize Nobel Winner, both located in her native Peru. 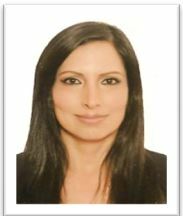 She graduated with a Masters Degree in Education from Peruvian University Cayetano Heredia. She has 13 years of teaching experience: 5 years in Peru and 8 years in Louisiana. She is currently teaching Spanish at Parkway High School where she also organizes and promotes the Hispanic culture through cultural events. She is married to David Allen and they have one son, Oscar. Claudia Cilla Trained as a translator in French, English and Spanish (School of International Interpreters, Mons, Belgium), Claudia started her career in teaching as a French Assistant Teacher in London, U.K., while working towards her Master’s degree in International Law and World Economy (UEL). Living abroad, she discovered her passion for teaching. Back home in Belgium, she taught for two years from elementary to high school, including evening classes to adults. While working, Claudia obtained her teaching certification by taking evening classes. 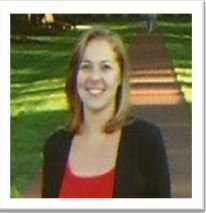 She is currently in her third year teaching French to 6, 7 and 8th graders at F.K. White Middle School in Lake Charles, Louisiana, where she offers a French Club and some remedial classes after school. Besides teaching, her passions are traveling, reading, yoga and Tai Chi. Billie Kellough is completing her 20th year of teaching. She is proud to be affiliated with the largest high school in Shreveport, CE Byrd. She has previously taught in Tangiapahoa and DeSoto Parishes, and in Waskom TX. Certified in French and in Spanish, Billie was educated at LSU in Shreveport. She obtained an M.L.S. at Brigham Young University in Provo, UT and completed her teacher training at Centenary College of Louisiana. She is a world traveler, having living in both Europe and Asia. She and her husband will celebrate 33 years of marriage in April, and are the proud parents of three children. Billie enjoys traveling, gardening, reading, and needlework. Fabienne Sizemore Originally from Belgium, Fabienne moved to Louisiana 23 years ago. She has 2 children, Roxane is 18 years old, and Nathan is 17 years old.The first 9 years, Fabienne taught French in classes from Kindergarten to 8th Grade, then for the last 14 years she has been a 1st Grade French Immersion Teacher. Her wish is to touch as many lives as she can while doing what she loves. Fabienne’s motto is “If you have the choice between watching and dancing, I hope you’ll choose to dance”.